A con woman is going to door-to-door selling tickets for a fake school raffle, police have warned. 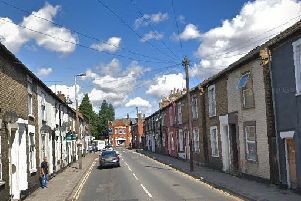 The fraudster is visiting homes in Shefford with a young girl, asking people to hand over money. Bosses at Shefford Lower School have confirmed this is not a genuine raffle. Police are now warning residents to be vigilant. PC Charlotte Norris said: “We’ve been alerted to this scam and we are currently investigating. “We’ve been assured by the school that this is not a genuine raffle, so we’d urge members of the public not to buy any tickets and to call us on 101 if they experience someone claiming to be selling tickets for one. Anyone with information is asked to contact PC Norris on 101 quoting the crime reference JD/5655/2016.